New Population Health Projects: Enhancing Behavioral Health in Primary Care. 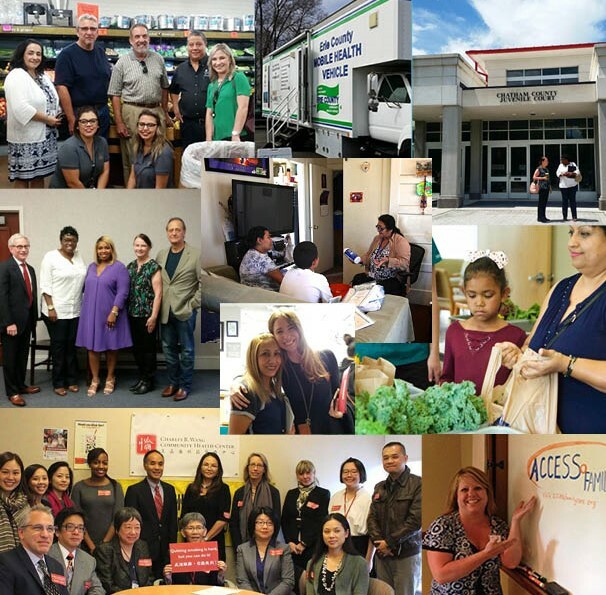 Now in its fourth year, the Foundation’s population health initiative is helping community health center organizations across the country identify and create sustainable approaches to build capacity, advance systems of care and strengthen service delivery to improve the health of communities they serve. Working on a defined local priority issue, each organization is developing strategies that deepen the features of patient- and community-centered health homes, while improving health at the community level. These diverse initiatives share a dedication to excellence, a commitment to advancing not just health care delivery, but health, and a commitment to equity – values deeply embedded in the health center movement. A top priority for many health centers is effective primary care–behavioral health integration to meet the many challenges of their patients and communities as the need for both mental health and substance use disorder services increases, while preparing for new payment models and systems of care. 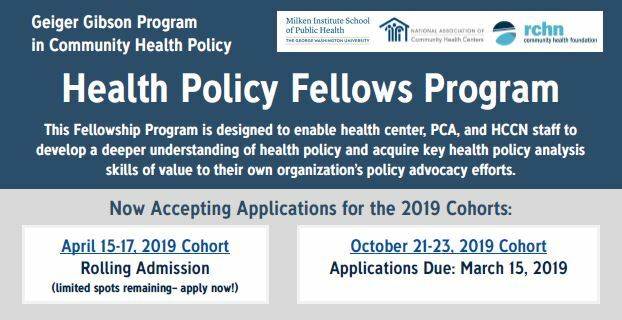 Two new population health planning projects, each focused on addressing aspects of primary care and behavioral health integration, join our current cohort of project partners. The Northwest Regional Primary Care Association (NWRPCA), which represents community health centers in Alaska, Idaho, Oregon, and Washington, is spearheading an effort aimed at identifying how Community Health Workers (CHWs) can best be utilized in health center settings to promote effective integration of behavioral and primary health care services, and establishing a coordinated strategy that will maximize resources for training and sustaining CHWs and CHW programs as part of an integrated care model. The objectives of the project are to assess the current utilization of CHWs in community health center-based settings, evaluate training requirements, and support organizational readiness to incorporate CHWs in integrated service models across the region. On the other coast, CHCANYS, the Community Healthcare Association of New York State, is working to build capacity to support its members in the state’s transition to integrated care, a key objective of NYS’s Delivery System Reform Incentive Payment (DSRIP) program as it moves into its fifth and final year. Along with the NYS Council for Community Behavioral Healthcare, CHCANYS is participating in the Delta Center for a Thriving Safety Net, a two-year primary care and behavioral health State Learning and Action Collaborative focused on providing technical assistance to state primary care associations and behavioral health associations, as they advance toward value-based systems of care. With support from RCHN CHF, CHCANYS will build on the Delta Center initiative to create learning and networking opportunities for the state’s health centers and key stakeholders, build partnerships across the primary care and behavioral health sectors, develop models for data sharing and collaboration, and foster practices that will help health centers succeed in a value-based payment environment. To learn more about our ongoing population health projects, including behavioral health-primary care related programs at Fenway Health (MA) and Access Community Health Network (IL) please visit our website here. Top left to right: Mariposa CHC staff and collaborators (AZ), Erie County CHC Mobile Health Unit (OH), GPCA and program collaborators. Bottom left to right: Charles B. Wang CHC “Community Action on Smoking and Health” initia¬tive (NY), Access Community Health Network (IL) & ACCESS Family Care staff (MO). Essential to our focus on community health centers and vulnerable populations, RCHN Community Health Foundation is committed to creating an evidence base that documents and analyzes the unique challenges that health centers face today: ensuring access; understanding and reducing medical underservice; tackling health disparities; and offering exceptional, high quality care. Richard E Rieselbach, Ted Epperly, Greg Nycz, Peter Shin. (2019). Community Health Centers Could Provide Better Outsourced Primary Care for Veterans. Journal of General Internal Medicine. 34: 150. Avi Dor, Qian Luo, Maya Tuchman Gerstein, Floyd Malveaux, Herman Mitchell, Anne Rosier Markus. (2018). Cost-effectiveness of an Evidence-Based Childhood Asthma Intervention in Real-World Primary Care Settings. Journal of Ambulatory Care Management. 41(3):213-224. Sara Rosenbaum and Jessica Sharac. (2018). The Projected Effects of the Arkansas Medicaid Work Requirement Demonstration on Community Health Centers. GW Health Policy Matters blog. October 31, 2018. Sara Rosenbaum, Susan Wood, Julia Strasser, Jessica Sharac, Janelle Wylie, Thao-Chi Tran. (2018). The Title X Family Planning Proposed Rule: What’s at Stake for Community Health Centers? Health Affairs blog. June 25, 2018. Peter Shin, Jessica Sharac, Sara Rosenbaum. Kentucky’s Medicaid Work Requirements: The Potential Effects on Community Health Centers. Health Affairs Blog. April 12, 2018. These noteworthy studies are critical to the policy debate on the future of health care in America. As we embark upon 2019, we look forward to strengthening this partnership supporting critical health policy research. More on the Geiger Gibson/ RCHN Community Health Foundation Research Collaborative briefs and other research from this academic collaboration is available on our website. Attending the 2019 Western Forum for Migrant and Community Health in Portland next month? Colleagues Patty Molina, Ruby Carillo & Lizzie Garcia from Mariposa Community Health Center (AZ) will be presenting a session on Comer Bien (Eat Well), the Fruit and Vegetable Prescription Program, part of our population health initiative. Join them on Friday February 22, 8:30-10:00 a.m.
“IT and Systems Considerations for Disaster Preparedness and Management,” by RCHN CHF staff David Hartzband and Feygele Jacobs, in the latest issue of NACHC’s Community Health Forum magazine, focuses on IT systems and infrastructure issues that are essential to preparedness and operational recovery for health centers.